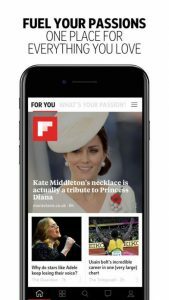 Used by millions of people every day, Flipboard is the award-winning service that brings together news, popular stories and conversations around any interest or passion. With everything in one place, reading, collecting and sharing stories has never been easier. Or more beautiful. Available for iPhone today, coming soon for iPad. With a variety of interests to explore and people to follow, there’s something for everyone – from photography to news, travel to technology, design to food. Download the app, pick your interests and Flipboard creates a magazine for each. You can also make your own customised magazines, collecting all the stories, images and videos that you like. You can set your magazine to public or private, and create group magazines to invite other people to contribute to your curation. As you discover people who share your interests, follow them on Flipboard to see more of what they like or share. All your comments, shares and likes make Flipboard better for everyone. Get quick access to your top 10 interests in the Home. Read, like and share stories on a variety of topics. Keep up with the news every day with The Daily Edition, a roundup of important stories you need to know. Get the latest news on important events with special magazines hand curated by our editorial team. Engage with other Flipboard community members that share your interests. Collect stories around specific themes and save them into personal magazines. Read stories from The Guardian, BBC, The Telegraph, Forbes, Wired UK, Condé Nast, Rolling Stone and many more top publications from around the world. Enjoy Flipboard in 25 local editions, including versions for Australia, Brazil, Turkey, India and China. For videos on how to use Flipboard, visit about.flipboard.com/tutorials/.